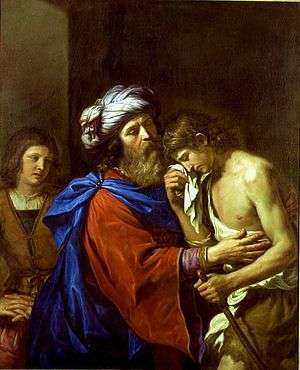 The Prodigal son (cf. Lk 15:11-32). The doctrine of sin is central to Christianity, since its basic message is about redemption in Christ. Christian hamartiology describes sin as an act of offence against God by despising his persons and Christian biblical law, and by injuring others. In Christian views it was an evil human act, which violates the rational nature of man as well as God's nature and his eternal law. According to the classical definition of St. Augustine of Hippo sin is "a word, deed, or desire in opposition to the eternal law of God." Among some scholars, sin is understood mostly as legal infraction or contract violation of non-binding philosophical frameworks and perspectives of Christian ethics, and so salvation tends to be viewed in legal terms (see Judaism and Christianity#Sin for a comparison). 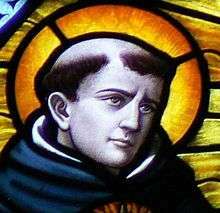 The way Thomas Aquinas viewed sin and vices was radically different from later approaches, especially that of 17th century moral theology. He presented sin and vices as contraries of virtues. He discusses the subject in his Summa Theologica part Ia-IIae (Prima secundae) qq.71-89. According to Aquinas the gravity of sin depends also on some disposition of the agent (cf. STh I-II q. 18, aa. 4, 6). Sin, venial by reason of its object, may become mortal. It happens when person fixes his/her ultimate happiness, the last end of his/her life (Lat. finis ultimus) in the object of that venial sin. When venial sin is used as a way to provoke mortal sin it becomes mortal as well, e.g. when someone uses empty conversation or a chat to seduce someone to commit adultery. Also sin, mortal by reason of its object, may become venial because of the agent's disposition when his/her evil act does not have full moral capacity, i.e. is not deliberated by reason. That may happen for instance when sudden movements of unbelief arise in the mind. (Cf. STh I-II q.72 a.5). According to another formulation of the concept of sin in the Summa, at the heart of sin is "the turning away from the immutable good", i.e. God, and "inordinate turning to mutable good", i.e. creatures. (STh I-IIae q.87 a.4) This cannot be understood as if in the concrete sinful deed the sinner commits two separate and independent acts. Both aversio and conversio constitute one single guilty action. At the root of the inordinate turning to the creatures is self-love which expresses itself in disordered desire (cupiditas) and rebellion towards God (superbia). Speaking about sloth (Lat. acedia) Thomas points out that every deed which "by its very nature is contrary to charity is a mortal sin". An effect of such deed is the destruction of "spiritual life which is the effect of charity, whereby God dwells in us." Sin of a mortal character is always committed with the consent of reason: "Because the consummation of sin is in the consent of reason"'. (cf. 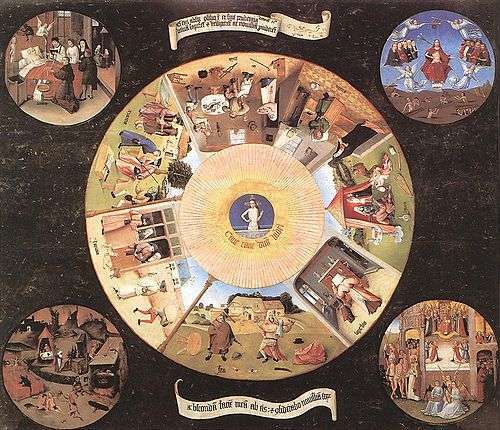 STh II-IIae q.35 a.3) Venial and mortal sins can be compared to sickness and death. While venial sin impairs full healthy activity of a person, mortal sin destroys the principle of spiritual life in him/her. Many Protestants of a Calvinist orientation teach that, due to original sin, humanity has lost any and all capacity to move towards reconciliation with God (Romans 3:23;6:23; Ephesians 2:1-3); in fact, this inborn sin turns humans away from God and towards themselves and their own desires (Isaiah 53:6a). Thus, humans may be brought back into a relationship with God only by way of God's rescuing the sinner from his/her hopeless condition (Galatians 5:17-21; Ephesians 2:4-10) through Jesus' substitutionary atonement (Romans 5:6-8; Colossians 2:13-15; 1 Timothy 2:5-6). According to traditional Reformed theology and classical Lutheranism, Salvation is sola fide (by faith alone); sola gratia (by grace alone); and is begun and completed by God alone through Jesus (Ephesians 2:8,9). This understanding of original sin (Romans 5:12-19), is most closely associated with Calvinist doctrine (see total depravity) and Lutheranism. Calvinism allows for the relative or nominal "goodness" of humanity through God's common grace upon both those predestined to salvation and those predestined to damnation, upon the regenerate and the unregenerate. Methodist Arminian theology adapts the concept by stating that humans, entirely sinful and totally depraved, can only "do good" through God's prevenient grace. Arminianism has traditionally taught what is known as the governmental theory of atonement. Drawing primarily from the works of Jacobus Arminius and especially Hugo Grotius, the governmental theory teaches that Christ suffered for humankind so that God could forgive humans while still maintaining divine justice. Unlike the traditional Reformed perspective, this view states that Christ was not punished by God the Father in the place of sinners, for true forgiveness would not be possible if humankind's offenses were already punished. Christ's suffering was a real and meaningful substitutionary atonement for the punishment humans deserve, but Christ was not punished on behalf of some or all of the human race. This view has prospered in traditional Methodism and all who follow the teachings of John Wesley, and has been detailed by, among others, 19th century Methodist theologian John Miley in his Atonement in Christ and 20th century Church of the Nazarene theologian J. Kenneth Grider in his Wesleyan-Holiness Theology. Variations of this view have also been espoused by 18th century Puritan Jonathan Edwards and 19th century revival leader Charles Grandison Finney. Mary Baker Eddy, founder of the Christian Science movement, taught that atonement exemplifies our underlying spiritual unity with God, whereby we reflect divine Love (God): Christ's atonement reconciles man to God, not God to man. ↑ Contra Faustum Manichaeum, 22,27; PL 42,418; cf. Thomas Aquinas, STh I-II q71 a6. ↑ On Grace and Free Will (see Nicene and Post-Nicene Fathers, trans. P.Holmes, vol. 5; 30-31 [14-15]). ↑ Christian grace is understood as God's love brought to the human soul by the God the Holy Spirit (Romans 5:5), and salvation is the establishment of that love relationship. ↑ For a historical review of this understanding, see R.N.Frost, "Sin and Grace", in Paul L. Metzger, Trinitarian Soundings, T&T Clark, 2005. ↑ c.f. "(..) Sin couches at the door; Its urge is toward you, Yet you can be its master." Berlin, Adele; Brettler, Marc Zvi (2014). Jewish study bible (2 Rev ed. (November 2014) ed.). [S.l. ]: Oxford University Press. p. 17. ISBN 978-0199978465. Retrieved 1 April 2016. ↑ Synthesis: bulletin du Comité national de littérature comparée / Comitetul Național pentru Literatură Comparată, Institutul de Istorie și Teorie Literară "G. Călinescu." - 2002 "Sin is personified as (an animal?) which "crouches" at the door of Cain (Gen 4:7). As Gerhard von Rad (Genesis, 105) remarks, 'The comparison of sin with a beast of prey lying before the door is strange, as is the purely decorative use"
1 2 3 ODCC 2005, p. Original sin. ↑ Josef Pieper (2001). The Concept of Sin. pp. 60–63. ; cf. Thomas Aquinas, Summa Theologica II-IIae q34 a2; I q94 a1; II-IIae q162 a6; I-IIae q72 a2. ↑ "Vatican lists new sinful behaviors". Associated Press. 2008. Archived from the original on 2008-03-11. Retrieved 2008-03-10. ↑ Catechism of the Catholic Church, 1997: "1867 The catechetical tradition also recalls that there are "sins that cry to heaven": the blood of Abel, the sin of the Sodomites, the cry of the people oppressed in Egypt, the cry of the foreigner, the widow, and the orphan, injustice to the wage earner." ↑ Barbara E. Reid, Taking Up the Cross: New Testament Interpretations Through Latina and Feminist Eyes (Fortress, 2007), 17-19. Sabourin, Leopold SJ, Sin, in: The Oxford Companion to the Bible. (1993) Bruce M. Metzger, Michael D. Coogan (ed.) New York - Oxford: Oxford University Press. ISBN 0-19-504645-5, pp. 696.